Ray marching of distance fields done on the Gpu inspired by IQ demo “Slisesix” and Shadertoy. The video shows two scenes rendered with a pixel shader: the simple scene showing basic distance fields and the more elaborated one, showing procedural distance fields and shading. 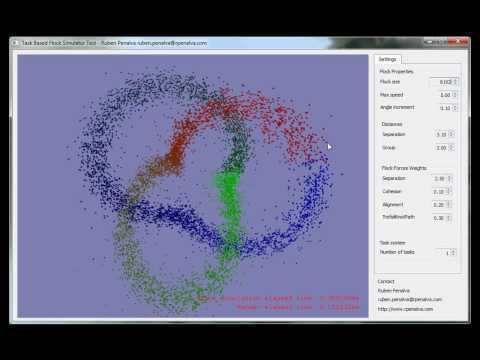 Flock simulation using tasks in order to keep busy all the cpu cores. It uses the Vista Pool Thread API to make a really simple wrap for send multiple tasks to the pool. The video shows how most of cpu cores (hardware threads) are not working under a heavy load of work with only one task in the pool. If the work is spread across multiple tasks, the video shows how all the cpu cores are busy. 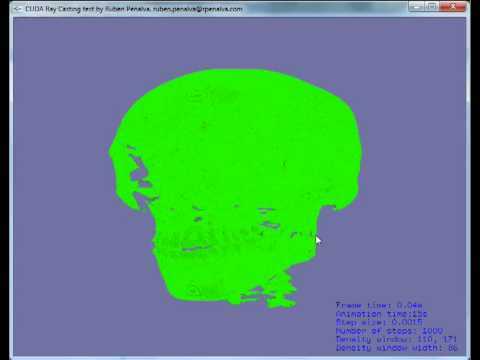 CUDA based application showing gpu volume raycasting using single pass Stegmaier et al. technique. 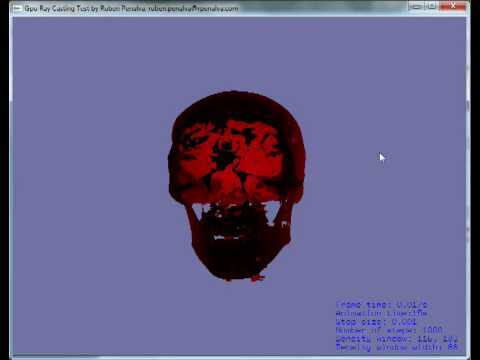 Opengl based application showing gpu volume raycasting using single pass Stegmaier et al. technique. 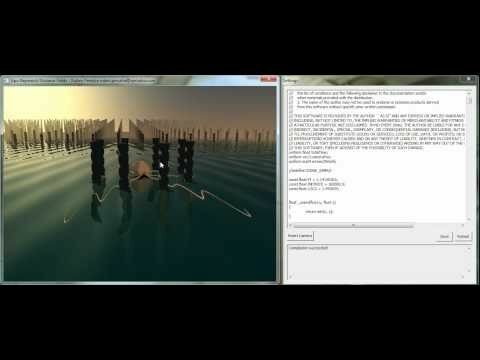 Opengl based application showing quadratic curve rendered on the gpu with GLSL shaders using Charles Loop and Jim Blinn technique. 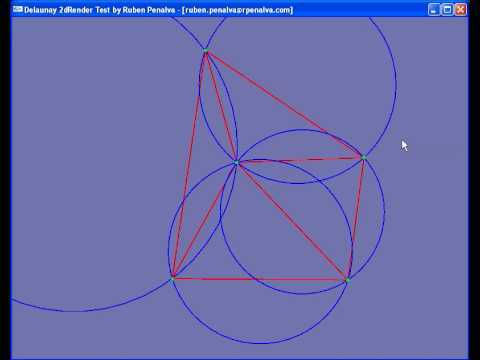 Opengl based application showing constrained delaunay triangulation of a given string by the user, using Triangle library and Freetype library. Library implementing divide and conquer Delaunay triangulation algorithm based on “Primitives for the manipulation of general subdivisions and the computation of Voronoi” paper by Guibas and Stolfi. 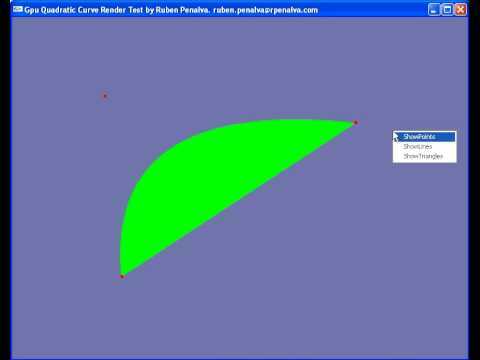 Opengl based test checking triangulation correctness (shown in video).